The Alliance Justice and Compassion exists to facilitate justice and compassion ministries of The C&MA. They help resource, network, and promote the local, national, and international ministries that seek to bring wholeness and well-being to people made vulnerable by circumstances of poverty, disaster, and injustice. We invite you to participate with us in extending dignity and hope to people who live on the margins of society through the Justice and Compassion catalogue. This book is more than a guide to giving; it’s an opportunity to learn, to pray, and to reflect on Scriptures that reflect God’s heart of compassion. We can’t often predict where and when they will happen, but we know there are always new global emergencies waiting in the wings. The Association of Alliance Chaplains (AAC) connects its members with one another as well as the districts and the National Ministry Centre. Each year, millions of people around the world are forced to flee their homeland to escape persecution, war, or severe human rights abuses. Disability Ministries seeks to support and encourage the inclusion of persons with disabilities in the life and work of the church. The C&MA in Canada is one of the founding members and 15 denominations and church-based agencies of the CFGB since 1983. Parish nurses provide health counselling and spiritual/pastoral care for people facing health challenges, and act as a liaison for medical advocacy. We can't often predict where and when they will happen, but we know there are always new global emergencies waiting in the wings. To ensure that we are ready to help immediately, The C&MA has an active emergency fund (the Global Emergency Response Fund) designated for disaster relief caused by both natural and human-made calamities such as earthquakes, floods, droughts, and war. This fund is used for the various stages of immediate relief, rehabilitation, recovery, and reconstruction. The priority for implementing relief programming is to resource and partner with local believers, a national church, when possible, or a local Christian relief agency. The Association of Alliance Chaplains (AAC) connects its members with one another as well as the districts and the National Ministry Centre. The AAC provides professional and pastoral support, guidance and advocacy, and also promotes education and training. Chaplains provide pastoral care in a wide variety of community and government organizations including healthcare, Corrections Canada, emergency services, Canadian Armed Forces, communities, corporates, campuses, and more. Whether chaplains are full-time professionals or part-time volunteers, they are connecting with the heart of the community in a way that is redemptive and intentional. Interested in connecting with the AAC team? Contact the point person in your district below. Disability Ministries seeks to support and encourage the inclusion of persons with disabilities in the life and work of the church. This ministry begins with a heart of compassion by providing creative solutions for inclusive participation in church programming that will turn awareness into a relational ministry of care. The mission of Disabilities Ministries is based on 1 Corinthians 12, where every person, regardless of abilities, belongs and contributes to the body of Christ. It can broaden horizons, increase family members’ awareness, enhance family cohesion, and deepen faith in Christ. For more information about Disabilities Ministries, contact the National Coordinator Cynthia Tam. The C&MA is one of the founding members and 15 denominations and church-based agencies of the Canadian Foodgrains Bank (CFGB) since 1983. They pool resources, both human and financial, and work collaboratively together through food assistance programs and agricultural and livelihood programs in a Christian response to global hunger. The CFGB programming is also supported by the Canadian Government’s Department of Foreign Affairs, Trade and Development funding. What specific programs does CFBG and its members do? How can I support The C&MA’s food programming work? Pray for the programs outlined below. Donate to The C&MA’s Food Aid account. Start or participate in a growing or community project. 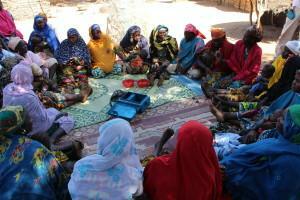 The Ourno Project is a three-year program located in south central Niger and is assisting 2,630 beneficiaries. A total of 630 farmers (21 Communities, 30 farmers per community). The training with farmers includes farmer-managed agroforestry farming system, conservation farming technologies, and natural resource management. Two thousand women (100 women’s groups of 20 women per group) are learning how to operate credit and savings groups, and conduct income-generating activities to increase household economic security. In addition, all men and women participants are implementing counter-season vegetable gardening to help improve household nutrition, consumption, and tree planting through hands-on community gardening and tree nursery plots. 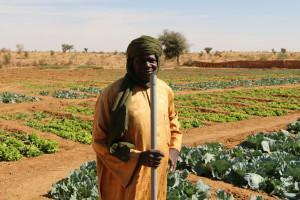 The Tillibery Project is also a three-year Agricultural and Livelihood project in west central Niger with 300 smallholder farmers participating in this initiative (20 of whom will participate in improved seed multiplication). 109 participants will be involved in cash for work flood prevention activities along the Niger River and 600 women are active in savings and livelihood training groups. These program participants are also being trained to cultivate vegetables, cash crops in the off-season, as well as vegetables, trees and cash crops in the rainy season, allowing them to produce and consume nutritious foods all year and earn a consistent income. Food Assistance is used to complement the two projects because of the last harvest in Niger being ruined by erratic rains and drought. The rain was insufficient and didn’t provide enough grain to last families the entire year. The hunger season is when families have exhausted their food stocks. During this period, families’ often only eat one meager meal a day. 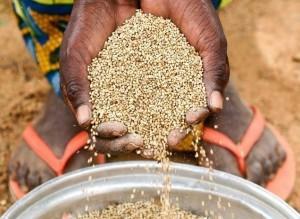 This project is providing food for 15,000 beneficiaries through these lean months until the new harvest is ready. Parish nurses can ease the burden of care from pastoral staff as they counsel people with holistic health concerns (Exodus 18:21) Parish nurses offer a viable and sustainable response to Alliance traditions of healing ministries and practical care-giving. Parish nurses increase the social responsiveness of the church by being the hands and feet of Jesus.